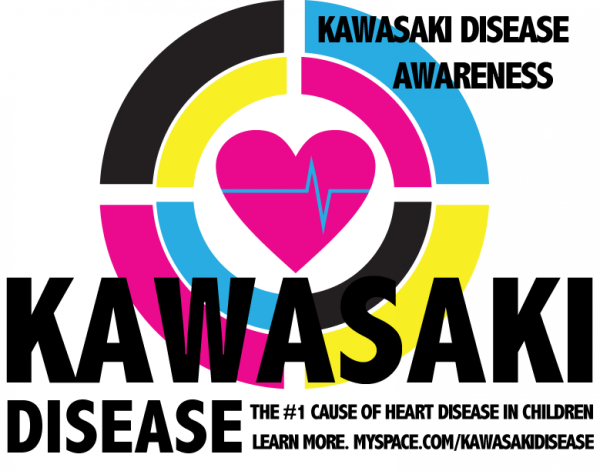 Have you heard about Kawasaki disease yet? Most people probably aren’t well aware of the severity Â this disease can cause in children. I had no idea this disease even existed until a few years ago. A previous article , Kawasaki disease awareness , gives a quickÂ overviewÂ of symptoms, complications, and resources associated with this disease, as well as a brief summary on the Kawasaki symposium 09 held in San Diego, CA. Kawasaki disease is very serious and can lead to death if not treated in time. Raising awareness is a great solution to solving that issue. THE FACES OF KD does just that. It provides great information on this disease, offers a place for those affected by it to share their stories, shares resources, and ways to contribute towards research on this scary disease. Stay updated Â and check out the website for information , events, contests and a forum on all Kawasaki -related topics. Know someone who has been affected by this mysterious illness? Share the knowledge and recommendÂ The Faces of KD!